Stephen Davies, has over 25 years experience of studying, practising and teaching a variety of mindfulness meditation and relaxation techniques and has attended many meditation retreats in the UK, Italy and India. 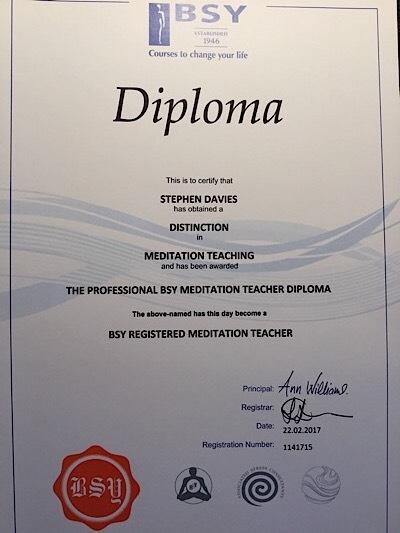 Stephen is a qualified meditation teacher having completed the professional BSY Meditation Teacher Diploma with Distinction and is a Registered BSY Meditation Teacher (formerly the British School of Yoga, established in 1946). 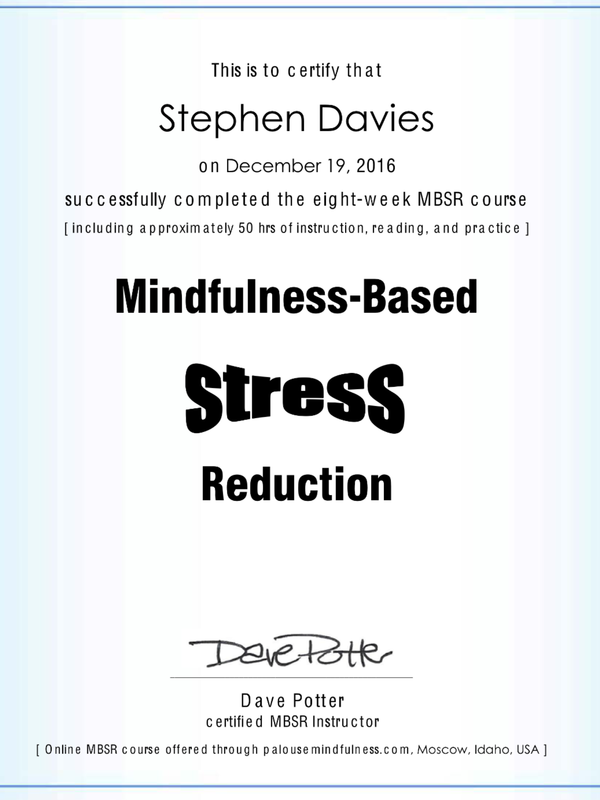 Stephen has also completed the Mindfulness-Based Stress Reduction course with a certified instructor, modeled on the program founded by Jon Kabat-Zinn at the University of Massachusetts Medical School. Stephen also runs the charity Mindfulness, meditation and relaxation (registration number: 1168960). Stephen has published meditations and talks that have been listened to over 400,000 times on Insight Timer, the world’s most popular free meditation app, home to over 4 million meditators.